Used to create a Parent/Child relationship between two tables. 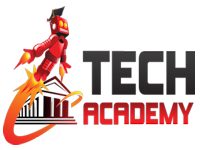 Provides "Referential Integrity" (by using the same field in both tables), that ensures consistency of data across both tables (i.e. changes to one are reflected in the other). 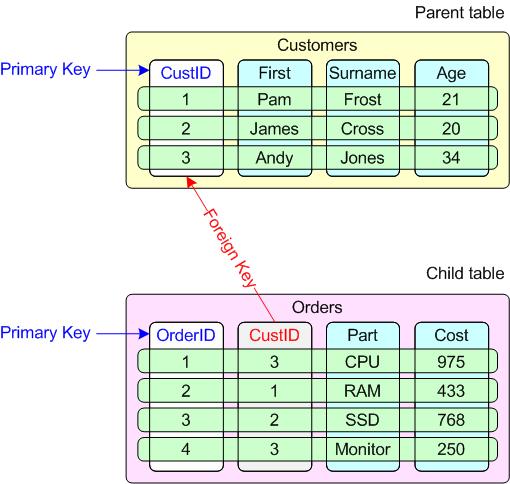 In the example above, the parent "Customers" table has a primary key called "CustID", and the child "Orders" table has a primary key called "OrderID". A relationship is established between the two tables by adding a foreign key in the child Orders table that links to the same "CustID" field in the parent Customers table. Accordingly, the child Orders table, has a CustID field that is set as its FOREIGN KEY that REFERENCES the reciprocating CustID field in the parent Customers table.